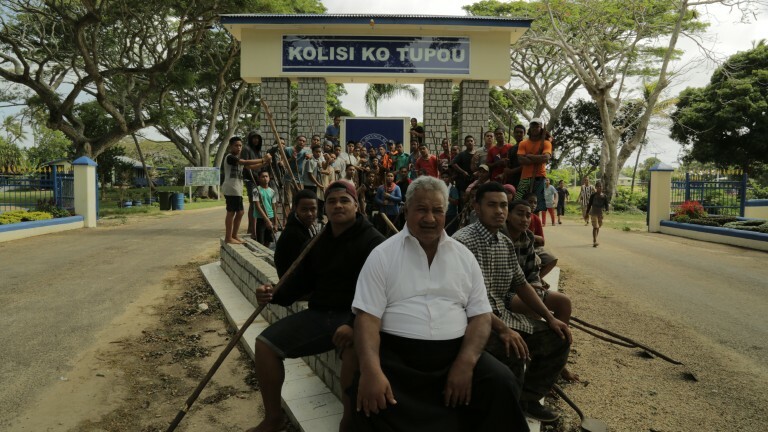 Marie takes a trip to New Zealand and Tonga to learn why giving away your money to the church is an expectation – and how family fit in to the deal – in this documentary about a father by his daughter. Understanding your ageing parents is not always easy, no matter how much you love them. And if they are deeply rooted in a culture which you also don’t fully understand, then things are even more complicated. Saia Mafile’o is a quietly-spoken Tongan in his seventies, now living with his daughter Vea in New Zealand. Together with her sisters and brother, they struggle to keep his finances in order because any money he is able to scrape together, he hands immediately over to the church. Thousands of dollars, every year. It’s frustrating to his family, and the documentary sets out to try to uncover what drives him to act in this manner. Is it a depth of faith, a need to make public shows of generosity, or something entirely different? It’s only when the grown-up family members return with their father to Tonga to celebrate his school’s 150th anniversary that they begin to understand the man and his motives a little better. It shows a complex society which is all about providing for community and giving back where you can, a community which sometimes takes precedence over one’s own family ties, and which the audience gradually comes to understand only by spending time with Saia and his family. For My Father’s Kingdom gives a very personal insight into Tongan culture and ex-pat Tongans of a certain age living in New Zealand right now; it allows the siblings to grow closer to their father and also understand their own heritage in more depth than they had ever considered it before. There’s a very touching scene between father and son towards the end which allows each of them to express, in a very understated fashion, some personal home truths – and there is a resolution of sorts. The film makers (Vea Mafile’o and her partner Jeremiah Tauamiti) have bravely allowed the cameras up close to observe the family dynamics, and it could have gone either way. But in the end, it’s an attempt out of love to understand a father whose upbringing was very different from their own, and whose choices have lasting effects on the grown-up siblings today. I fully understand this, having grown up in NZ myself, with very ‘Tongan way’ minded parents. Congratulations Vea, Jeremy & family. I am looking forward to seeing this film. What a lovely review ~ i cannot wait to see this film, Giles. Thanks for everything Saia ❤️. Exciting! how can one access the film?